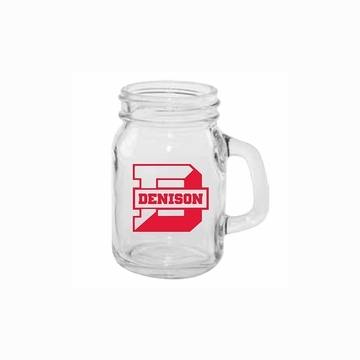 If you enjoy drinking out of mason jars, drinking out of small glasses, supporting Denison University, Well you my friend, are in LUCK! This cute 3.5 oz mason jar is sure to be the talk of the mini drink conversation! Can even be used as a clever shot glass."